Modi's PVC cassing n capping Quality is what we spell…. Competition is what we ignore….. Trust is what we have from u.
MODI'S - FIT CASSING N CAPPING ACCESSORIES MODI'S - FIT. 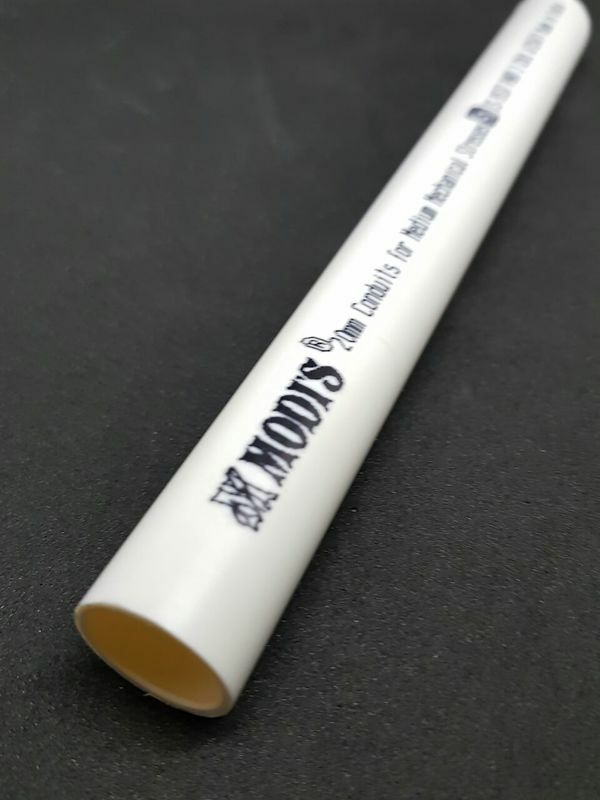 ANOTHER FIRST FROM THE PIONEERS AND LEADERS From the house of Modis, the first to introduce the cassing n capping concept to India comes another innovative product. 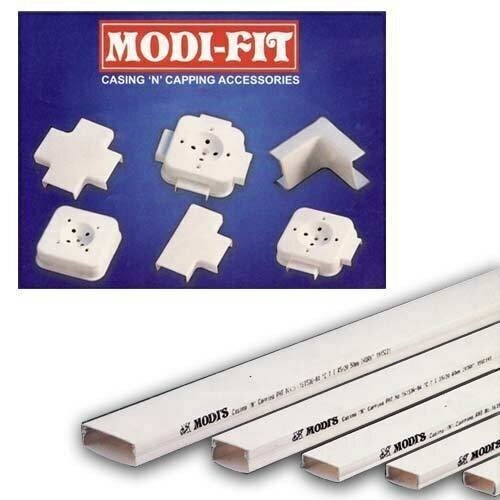 presenting Modi - fit, India's first fire - retardant cassing n capping accessories. make the safest choice. 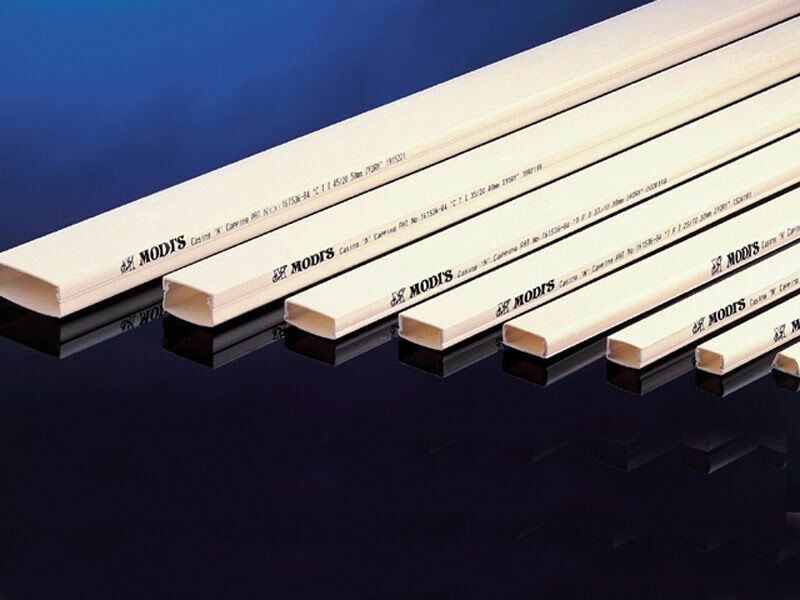 Insist only on Modi - fit for your wiring applications, because thousands of people can depend on it to prevent fire, preserve lives and protect property every day. MODI'S- FIT. FOR STATE OF THE ART DESIGN AND MANUFACTURING. Modi's - fits unrivaled excellence comes from its advanced, computer-aided design and its unmatched manufacturing standards using the latest, state of the art computerized machines. This superior finish is evident in the sleek, contemporary look of the all-new junction boxes as well as the matching colors that ensure a perfect fit with Modi's - fit cassing n capping. MODI'S- FIT. 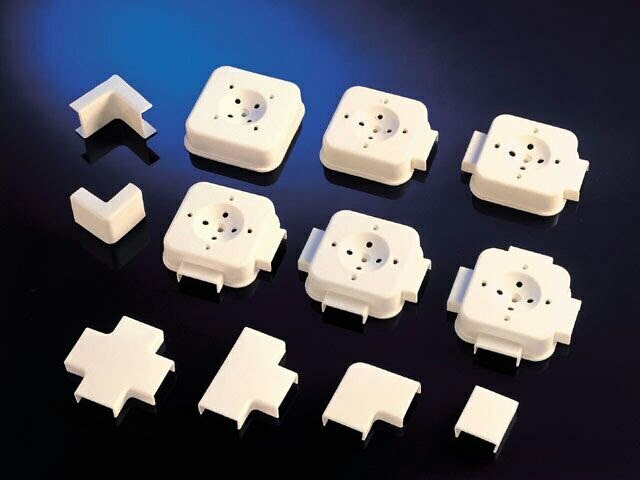 FOR COMPLETE SAFETY Made from a unique flame - retardant polymer, for the first time in India, Modi's - fit is ideal for any electrical housing and various appliances. no more worries of fire from an electrical short circuit because, unlike ordinary accessories, Modi 's- fit effectively prevents the spread of fire, ensuring total safety. MODI'S - FIT. NEWER, BETTER. Specially manufactured for the modern interiors and exacting standards of the future, Modi's - fits the range of accessories comes with an array of improved features . 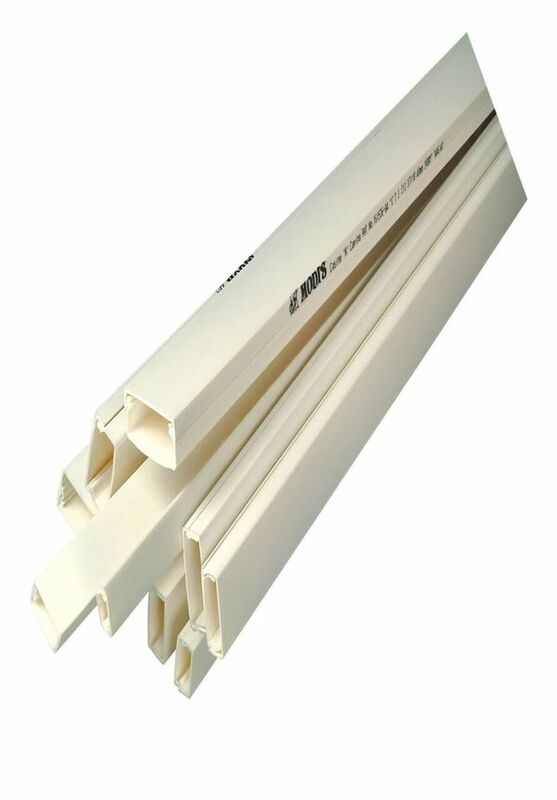 for instance, the new and more elegantly curved shapes with flexible mounting for a ceiling rose or bulb holders along with increased space in junction boxes to accommodate more wires. they are also sturdier and stronger to last even longer. For all your electrical wiring needs, fit nothing but the best. Insist on Modi's - fit, that's it! Modi's PVC cassing n capping Quality is what we spell…. Competition is what we ignore….. Trust is what we have from u. Modi's is the front-runner and Indians pioneer and premier name in world-class electrical wiring product, continuing its trend of innovation, hold the pride to give the best quality cassing n capping and its accessories of international standard to safeguard your electrical / networking /telephone wiring keeping in mind easy accessibility , easy replacement , addition of wire and aesthetics of interior decoration. 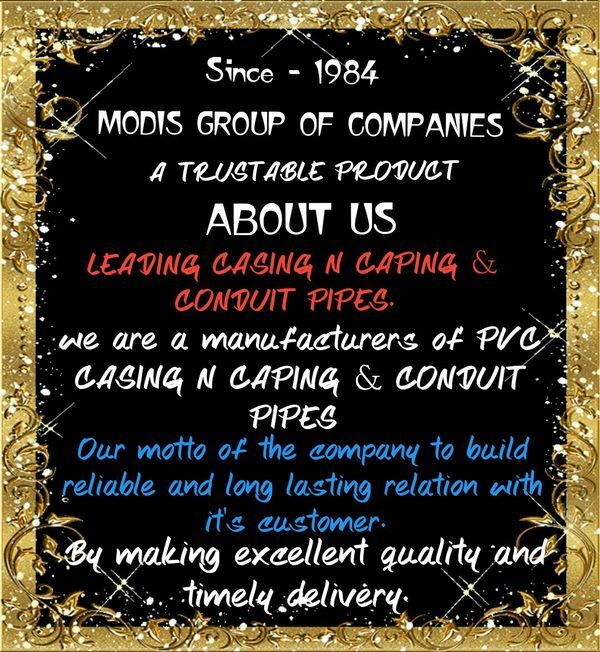 Modi's … all backed by engineering skill and technically assessing the product which is above all standard and produced at factories having iso 9000 - 2000 certification, and product are posing high degree of mechanical strength with properties of fire retardant, alkali test and made from high grade engineering plastic with insulating properties which indicates quality and long life to safeguard you and your valuable properties . Modi's PVC electrical cassing n capping and fitting is approved by the govt of India ministry of commerce - national test house - (SR) and are with the approved list of railways, Bsnl, touch tel and public work department government of India and so on just to name a few. So far requirement of electrical wiring, in houses, office and commercial units, always think for Modi's. they are quality products that last longer. 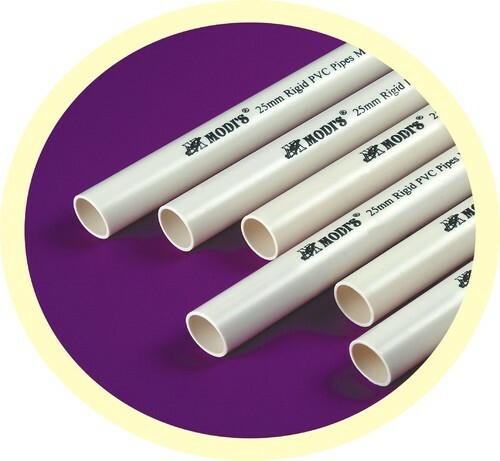 Our Company Manufactures of all various categories & Sizes of Cassing N Capping & Electrical Rigid PVC Conduit Pipes and Accessories which are used for concealment of wires. 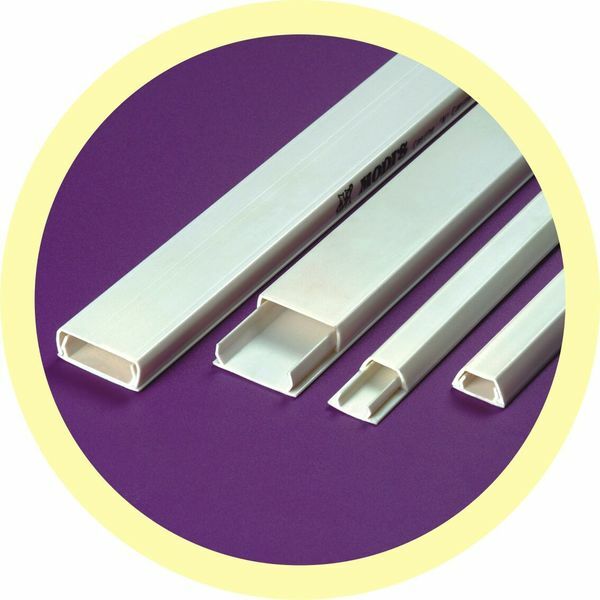 Our products are well known all over India and so they are very much in demand all over India for their quality and durability.